Drone videos are the newest rave as people continue to add to the drone hobbyist community. The drones that they purchase are equipped with WiFi cameras that are able to take incredible still shots as well as action videos. These creative pilots are posting their latest videos online to allow the world to view the incredible sites that they are able to see from their drone’s camera. With drones being used for a variety of jobs such as deliveries and also security, it’s easy to imagine that some incredible footage has likely been caught by a variety of drones. With pilots that vary in levels of expertise, and each drone being equipped with a camera that defies the odds, the number of videos that surface to the Internet from them are bountiful. 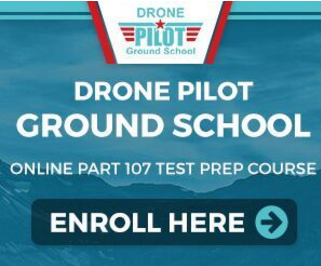 The pilots that range from expert to novice have different techniques that they use when filming with their drone’s camera. One video that is ranked highly for the week is of the Northern Lights that are easily viewable in Iceland. It shows the beautiful colors that paint the sky during the phenomenal event. It also shows the beautiful infrastructure of the land in Iceland as well as the fog and icy glaciers. Another drone video that is ranked highly this week would be the one that shows a drone expert flying when the Skeleton Bay’s swells in Africa were historic for surfers. Luke Campbell, one of the historic POV pilots of the drone, caught incredible shots of the drone as it flew through Namibia to ultimately prove that the Skeleton Bay training ground is easily viewed when it is being surveyed from above. The third most popular video of the week would be the stunning footage caught on tape by drone of the Le Mont Saint Michel in Normandy. This video, which was taped in France, shows aerial photos of the Tour de France as it makes its way through the country. Various aerial videos composed for a 3-month period prior to the the Tour de France make this video an incredible one to view. Drones and their pilots are becoming more advanced by the day. Capturing video of incredible events and once in a lifetime experience will continue to keep drone activity relevant in our everyday life. The more that these drones rise in everyday popularity, the more that we will see incredible videos such as these top three for the week.